Deleting spyware upon realizing that it’s infecting the computer can be tricky. They hide in different files and folders in the computer. So how to delete spyware if they’re spread in the computer? Follow the simple steps below to get rid of spyware that has invaded the computer. Look for any suspicious files on the list but don’t uninstall yet. TIP: Check the program on the Internet if it looks unfamiliar. Malware size differs but it’s usually no more than 1MB. Once the program is confirmed spyware, it’s important to stop it from running before uninstalling it. Type MSCONFIG in the search bar Click on Start Up Disable the same program found in Programs and Features Click Apply and Ok.
Once the program is disabled, use Task Manager to kill the process. Open Task Manager Click on Services Click on the same program End Process. This stops spyware activities on the computer. With Spyware activities stopped successfully, uninstall spyware. Go to Programs and Features Right click on the program Uninstall. Don’t restart the computer yet. Restart it once the spyware trace is completely deleted from the computer. Spyware, Trojans, Adware and other types of malware usually hide in the TEMP folder. The hacker accesses them when necessary. Go to C Drive Click on Documents and Settings Administrator Local Settings Temp. Delete everything in the TEMP folder. Those are just temporary files the computer creates to quickly open a program. When the files are successfully deleted, restart the computer. This should delete spyware from the computer. Deleting Spyware is more successful in Safe Mode because Windows loads the basic programs only. So how to delete spyware in safe mode? Shut down the computer Turn it back on Press F8 before Windows loads Use the arrow key to select Safe Mode. Once Windows in Safe Mode, download a malware scanner on the Internet. Click here to check out the best Free Malware Scanner Tools. Once downloaded, run the malware scanner tool. It will show the threats detected on the computer when it’s done scanning. Delete threats and exit. Restart the computer in Normal Mode. This should eliminate any threats, spyware, and viruses on the computer. Now, the spyware is removed successfully. It is essential to install an antivirus to prevent any spyware and malware attack. An antivirus performs deep scanning and provides real time protection to prevent spyware and malware invasion. Find a reputable antivirus software that can destroy spyware before it even reaches the computer. Click here to check on the best antivirus software. Protecting the entire network and the devices connected to the network is as crucial as protecting a personal computer. Click here to learn about Endpoint Security and how to protect the entire network from spyware and malware attacks. Spyware and malware attack in many ways. Remember, prevention always beats cure. Spyware and malware are removable, but sometimes the damage they can do to the computer is irreversible. Take note of these simple ways to prevent spyware and malware infection. Scan an application before installing it. 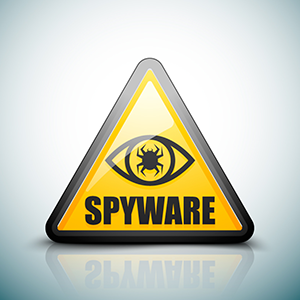 Spyware and malware lure in their victims by pretending to be a legitimate software. They are often disguised as a fake installer or update such as Adobe Update. Verify the publisher first before clicking on the download button and don’t forget to scan the file once it is downloaded. This prevents malware from entering the computer. If the computer doesn’t have an antivirus yet, there are free scanning tools on Internet that can scan applications. Avoid visiting non-secure websites. The non-secure websites often contain spyware and malware. Their low security features allow hackers to insert infected ads and pop-ups on the websites. Now, there is a malware that pretends to be a pop-up designed to install itself when the user clicks on the X button. Scan a link first. Stop and scan the link first when someone says “go to this page to download an app.” Verify if the link is infected. There are free link scanners on the Internet such as Virus Total. Right click on link then copy and paste it. Spyware and malware are invasive. Not leaving the computer vulnerable and taking precaution when using the Internet is crucial nowadays.